Higgins Elementary recently won the Winter Curb Appeal trophy depicting 100 days of school in January. The campus entrance showed little hands that had been traced, colored, and cut out by the students. The display celebrated the diverse group of pre-kindergarten through first-grade students housed on that campus. North Lamar ISD Assistant Superintendent Angela Chadwick presented the trophy and a ribbon to students in Carol VanDeaver’s kindergarten class who represented the Higgins’ student body. 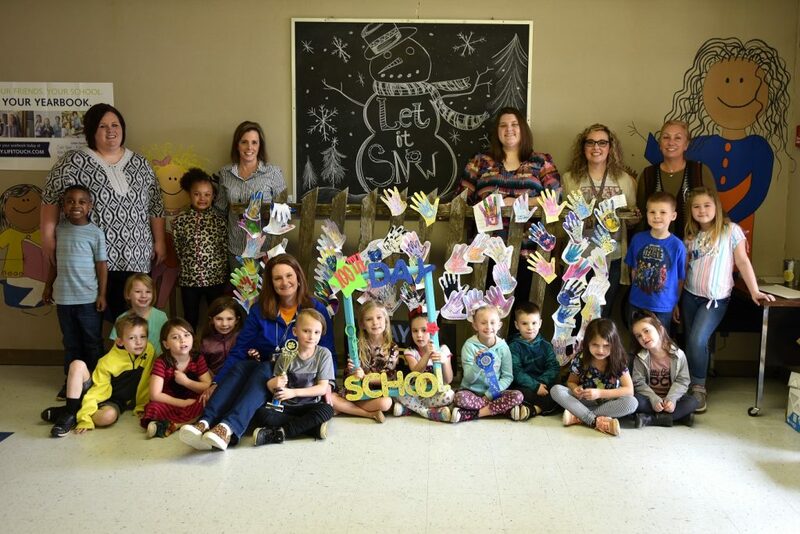 Others pictured with the students are principal Lori Malone, seated, and standing in back, Lacey Jordan, Shelly Bivens, Sierra Radford, VanDeaver and Chadwick.